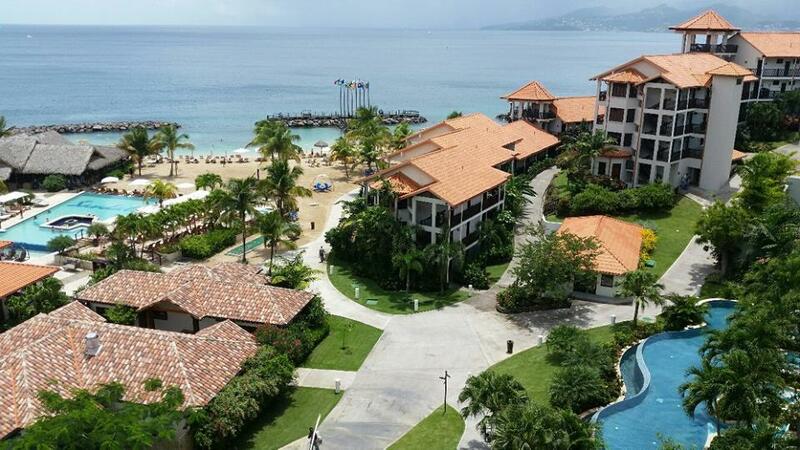 Our travel expert Rachel just returned from a Grenada, where she stayed at Sandals Grenada. Read on for what she loved about this adults-only all-inclusive property, plus tips for guests and more. The first thing Rachel told me about this property was how nice and friendly the entire staff is. “The people of Grenada seem genuinely happy to do their job,” she explained. She noted their energy, kindness and prompt service. 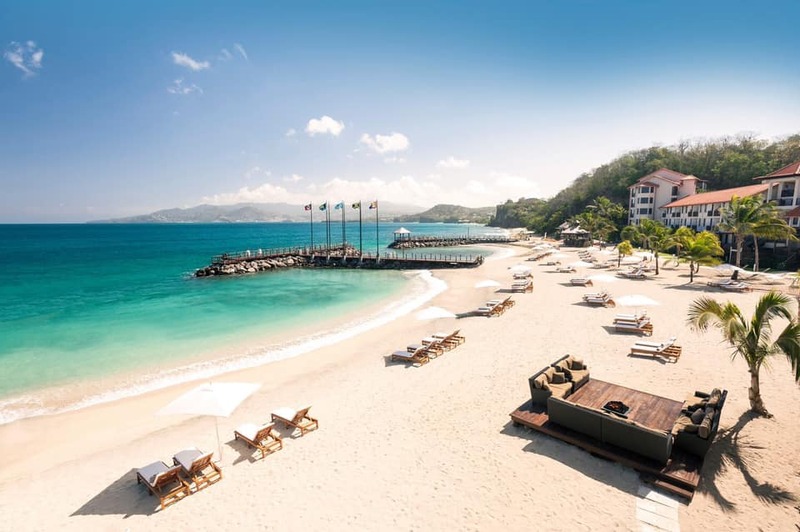 Though this is standard for all Sandals properties – staff undergoes a rigorous “Sandalisation” program – Rachel tells us that this property went above and beyond when it comes to service. The property itself is located in the far southwest corner of Grenada. Transfers from the airport take less than five minutes. The resort sits at one end of the 400-yard Pink Gin Beach, with panoramic views up to the coast to St. George’s and the mountains. Though the beach is exposed and the sea can get a bit choppy, Sandals Grenada has breakwaters which provide a protected swimming area on their beach. 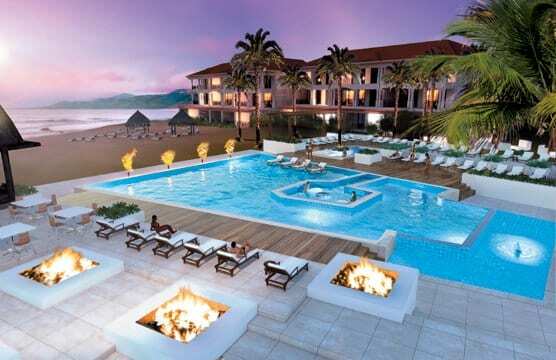 Though there are 256 rooms at Sandals Grenada, the property is actually pretty small overall. Rachel stayed in the far back south Seas Village section and it only took 5 minutes to walk from their room to the beach. She loved how easy it was to get around here. Throughout the 17 acres of the property, rooms are spread out over four “villages”. The villages include Pink Gin Village, Italian Village, South Seas Village (which is where Rachel stayed) and Lover’s Hideaway Village. There are two large swimming pools on the property – one that is more lively with a swim-up pool bar. It is flanked by a large hot tub and private cabanas for lounging. The other pool has a fire pit in its center. Rachel has been to many all-inclusive properties in the Caribbean and Mexico, including several Sandals Resorts properties. She knows her resort food well! She explained that the food was amazing and there were plenty of options for breakfast, lunch and dinner. Sandals Grenada has 10 restaurants in total. Some of these restaurants are outdoors and casual, while others require reservations and offer more of a fine dining experience. And of course, they have just about everything in between casual and gourmet. The most upscale restaurant is Butch’s Chophouse, which is a steakhouse. They also have Caribbean, Italian, Japanese, suhi and French a la carte options. In addition, the property has its own French patisserie where they serve unique delights like nutmeg ice cream. There is no extra charge to eat at any of the restaurants on property, and there are also no restrictions on how often you can eat in particular ones. 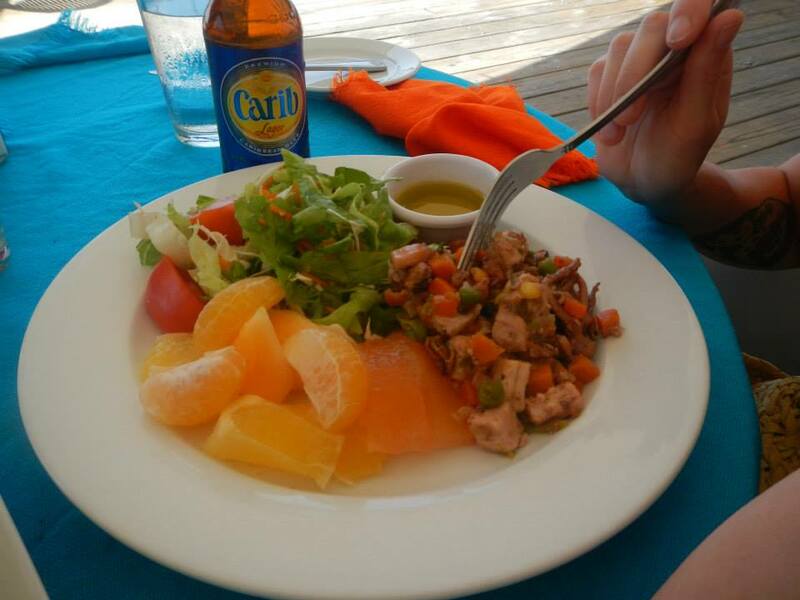 In addition to restaurants, Sandals Grenada also has 6 bars including an English pub. All bars and restaurants serve high-end spirits and California wine. And of course, it is unlimited! Rachel describes Sandals Grenada as a “very energetic resort”. They have an active pool with constant pool volleyball, a DJ, entertainment, and even a foam party! This is the pool with the swim-up bar. The other pool, as mentioned above, has a fire pit in the middle and offers more of a relaxed atmosphere. In addition to pools and hot tubs, there is also a state of the art gym overlooking a gorgeous pond, a modern spa and tennis courts. There is also a water sports center that offers tons of non-motorized water sports. You can also scuba dive here and this activity is included in the all-inclusive price for certified divers. At night, the most popular place to be is The Living Room, which is a large bar/lounge area with swinging sofas and great live music nightly. 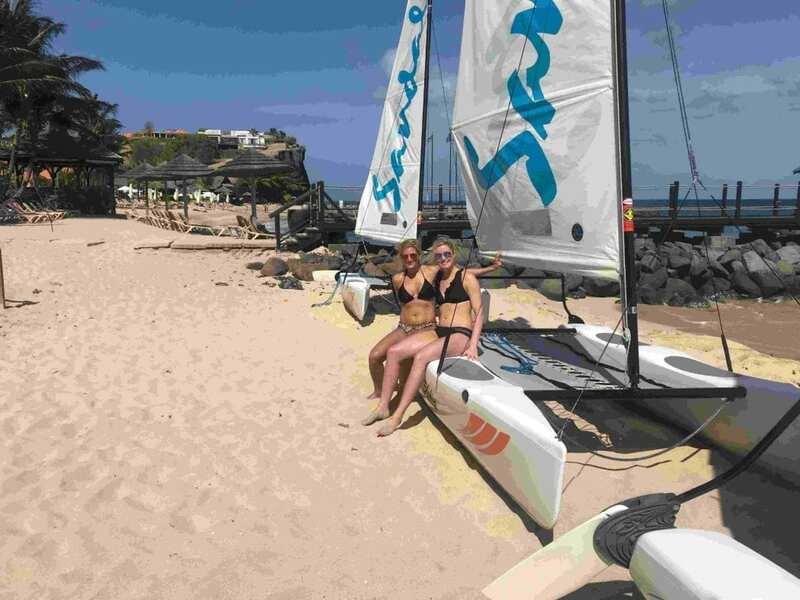 Rachel and her group ventured off of the resort during their stay to one of the best beaches in Grenada, Grand Anse. Here you’ll find a little bar called Umbrellas that is very popular among locals. Rachel also noted that the area felt very safe and no one bothered them, even on the more touristy public beach off property. One very important piece of advice that Rachel tells all of her clients is to upgrade to club or butler level rooms. The standard luxury rooms are great, but you will not have access to room service or poolside service unless you are in a club or butler level room. 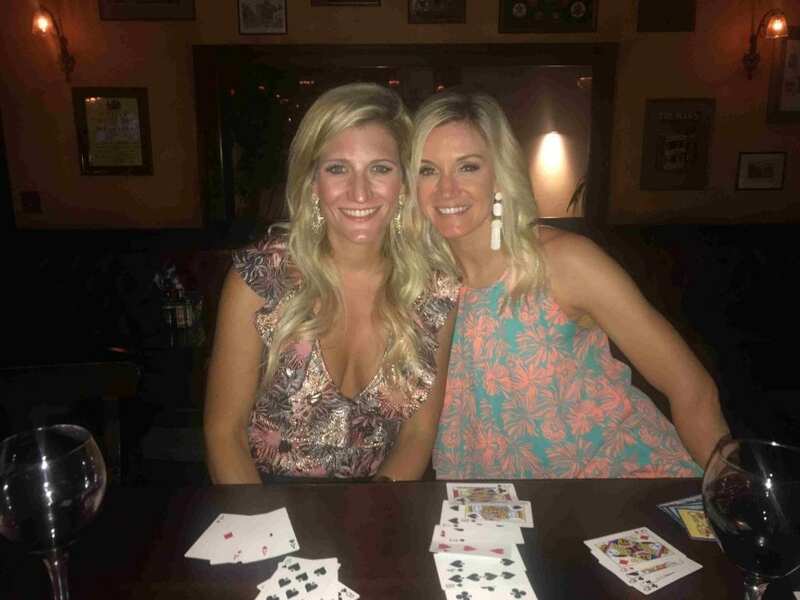 Rachel found that all of the pool chairs were reserved by butlers in the morning and the resort was at 70% occupancy during the time that they stayed. They also had trouble getting into the two restaurants which require reservations. In a butler level room, your personal butler can take care of all your dinner reservations, as well as reserve your pool chairs or cabanas ahead of time. Overall, Rachel gives this property an A. The environment, food and service are all top-notch. This is a great option for travelers looking for an adults-only all-inclusive experience with five-star service and food, plus gorgeous pools and a wonderful beach. 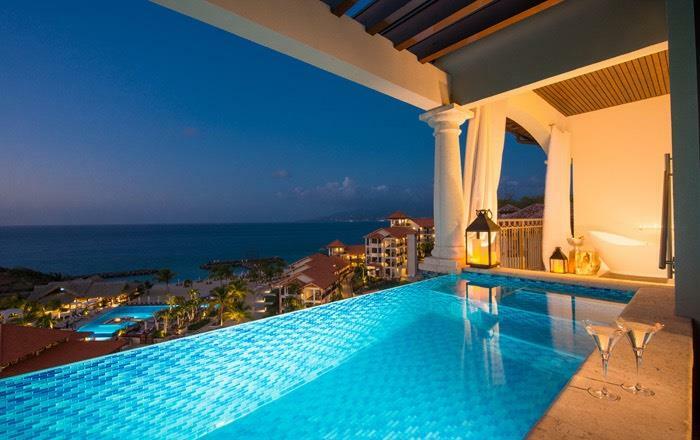 Call us today to book your own stay at Sandals Grenada. You can reach us at 402-390-9291 or get started here.